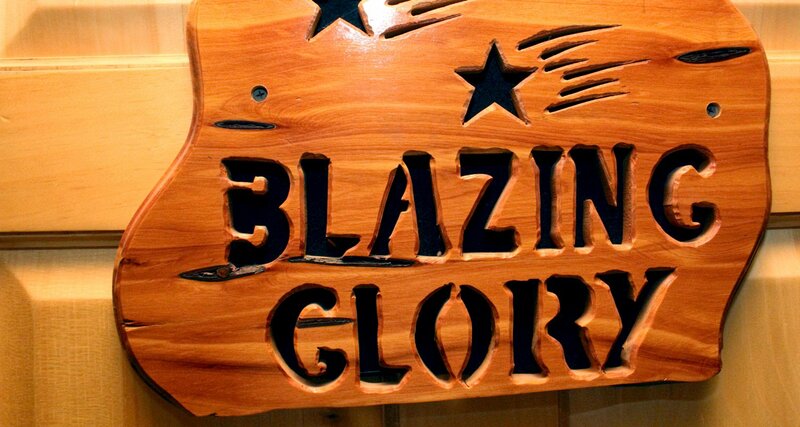 The Blazing Glory room features an American Patriotic theme along with a private bath, antique dresser and a sitting area. 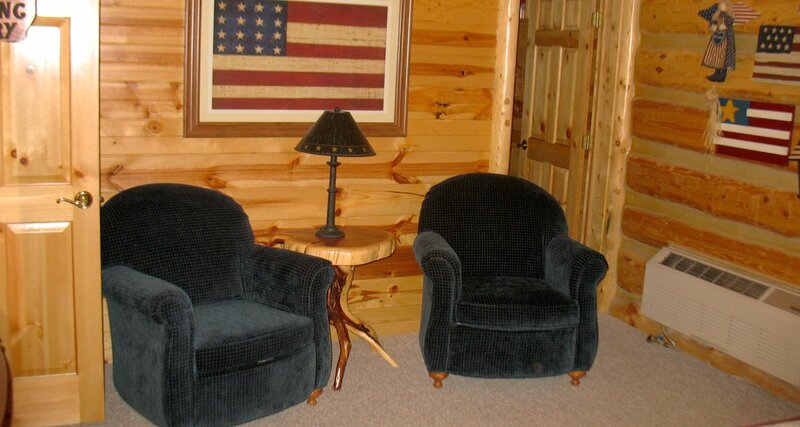 The room is decorated with American flags and the "good ole" red, white & blue. 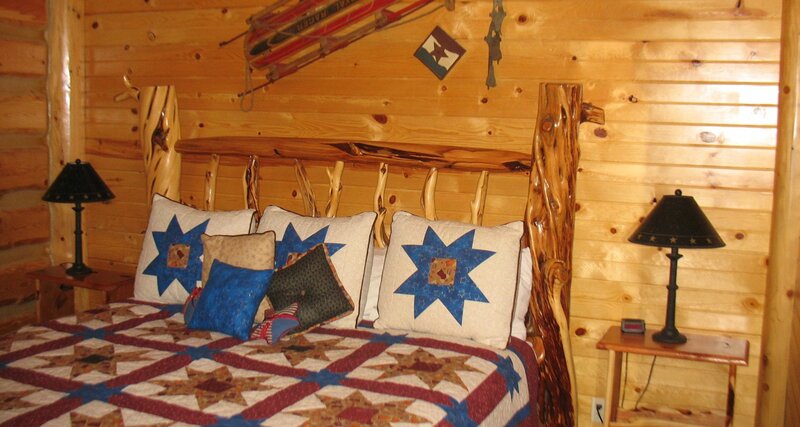 The handmade quilt also demonstrates a pride in America. The room has a mountain view with access to our wrap around deck!